- To circumvent such issues, you can run the MADRIX software as administrative computer user, the so-called administrator. - Note: You need to have access to the administrator account (i.e., password). Logging in as administrator grants extensive rights for any computer changes. If you are not familiar with Windows or computers, please seek advice. Among others, USB is an important way to work with MADRIX, MADRIX KEYs, MADRIX hardware interfaces, MIDI controllers, etc. 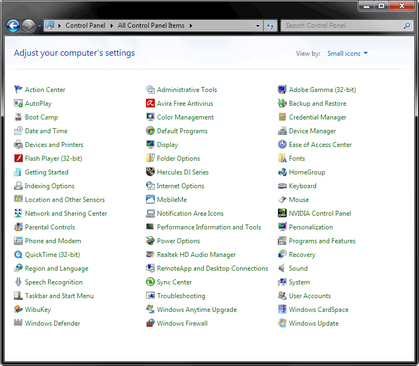 In order to ensure a stable work environment, we highly recommend setting up corresponding USB settings in Windows. 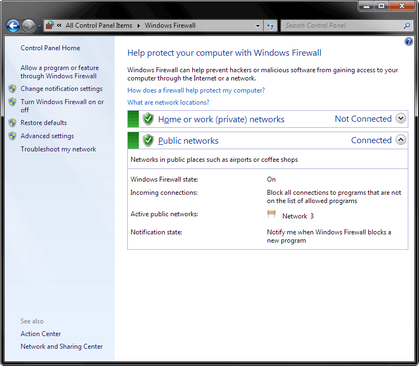 The primary purpose for the Windows Firewall [or any other firewall] is to block any unwanted incoming or outgoing data and access. But this can lead to problems, when data that should go through is automatically blocked. 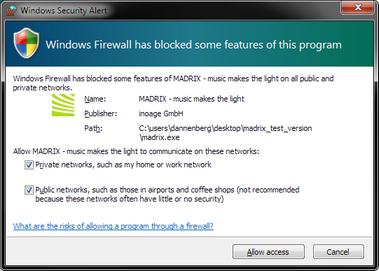 MADRIX will automatically set the correct firewall settings for you during the installation process. Please follow the steps below if this Windows message appears when you start MADRIX for the first time. ▪ Click Allow access to confirm. 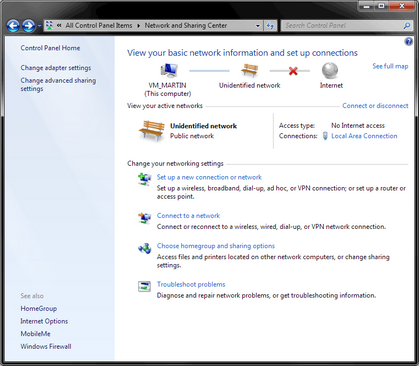 Not selecting both options can cause problems with network communication. If you have already chosen the wrong options MADRIX, you can delete the settings and choose again. ▪ Select and delete any entries relating to MADRIX [e.g., madrix.exe or MADRIX - music makes the light]. ▪ With your next start of MADRIX, select both options as described above. When working with network-based products and MADRIX [for example, Art-Net, KiNET, sACN, etc. 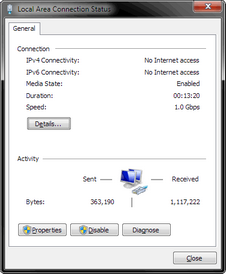 ], you will have to set up the IP address of your network card in Windows. Learn how to set it up here. 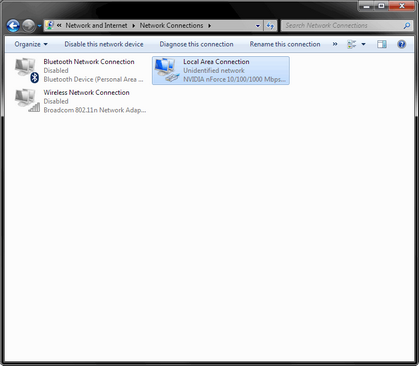 ▪ IP address - Sets the IP address for this computer and this network card. 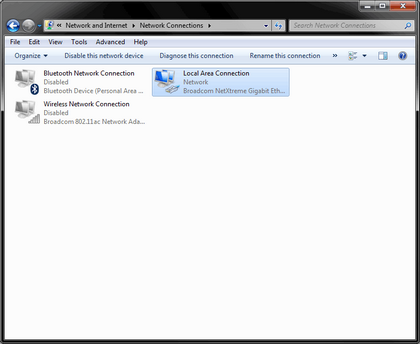 If you have several network cars in your computer, you can set up an individual address for each network card. An IP address has 4 parts. Enter the complete address as explained in the specific chapter of this user guide [e.g., 2.0.0.1]. You only have to enter the numbers. ▪ Subnet mask - Sets up the Subnet mask for this computer. 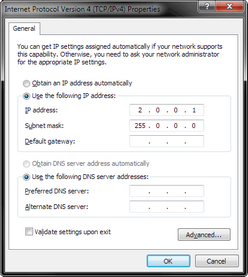 This is an important part of the network settings, just as the IP address. An Subnet mask has 4 parts. Enter the complete address as explained in the specific chapter of this user guide [e.g., 255.0.0.0]. You only have to enter the numbers. ▪ Restart MADRIX if you have changed any network settings! Usually, you will use at least 2 devices in a network [for example, 1 MADRIX PC and 1 Art-Net node or 1 MADRIX PC and 1 console]. As explained above, you will need to configure various network settings not only for your MADRIX PC but also for the other devices. Using several devices in a network does not mean that all should have the same IP address. That will not work! 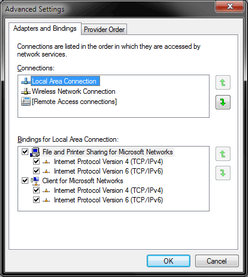 You can change the order in which Windows and MADRIX accesses your network adapters. 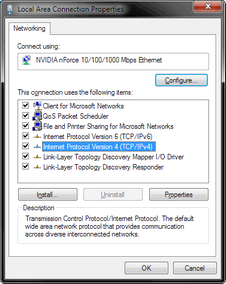 By changing the order, you can specify which network adapter [network card] is used first and as the main connection. ▪ 2] Press Alt on your keyboard. - A menu appears at the top, which is otherwise hidden. - A new window opens. ▪ 5] Change the order by clicking on the green up and down arrow buttons on the right hand side. - The connection which is listed on top, is the first and prioritized adapter. ▪ 6] Click OK to confirm. ▪ 7] Restart your computer. When working with computers in general, you should be aware that any digital data is sensitive and prone to failure and hardware errors. ▪ to save regularly when creating a show in MADRIX. ▪ to make backup copies to different or external storage mediums [e.g., USB stick/thumbdrive]. ▪ to use a virus detection software when working with files from external sources. ▪ MADRIX will be closed instantly, when you trigger a Restart or Shut Down of Windows. ▪ Make sure to save your files before executing a Restart or Shut Down! 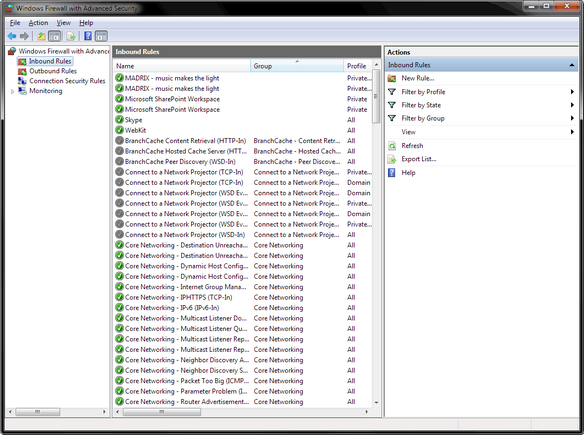 Windows allows you to monitor the overall performance of your computer. 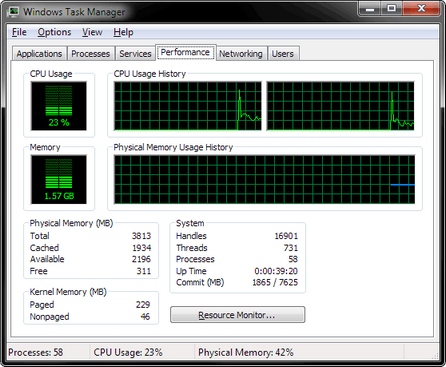 ▪ A new window opens [Windows Task Manager]. ▪ You can now monitor the CPU Usage as well as the Memory usage. ▪ MADRIX has its own monitoring tools.